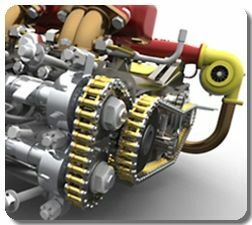 SolidWorks has earned the unenviable reputation of being a Proven environment for Design, Validation and Drawing release. Breaking the barriers in design communication, SolidWorks introduced e-Drawing as the de-facto Viewing Standard in CAD data visualization for the first time in the history of CAD. Innovation has been the heart of the SolidWorks framework, delivering time and again, trusted solutions for a variety of Industrial applications. Providing the Design Engineer with a wide ranging choice of flexible toolsets, SolidWorks earns the prideful place of being the MCAD Operating System for the Design Engineering Community World-wide. 6 Reasons to Invest in SolidWorks for Your Design needs ! Is this the right time to invest in SolidWorks? Challenging times require Innovative ideas to Survive and Extend Market Reach. Compelling reasons to move forward can be many. However, every investment has to be provide for returns. Ask yourself these questions. If the answer to any one or more of them is a Resounding Yes, then NOW is the Time to Invest, Innovate and Succeed. Should my product performance be better than competition? Is there a pressure to deliver Higher Quality Products at Lower Costs? Is Product Failure affecting the Company Image and Credibility? Does my Customer deserve a Better Product from Me? One Million Engineers cannot be wrong ! Join the Exclusive Club of 1 In a Million !